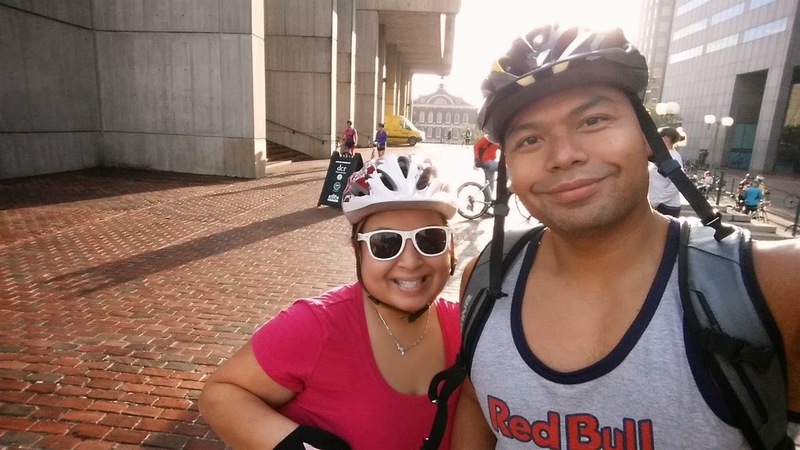 My friend, Sophea got the Mo and I to sign up for a "leisure" bike ride in Boston called Hub on Wheels. 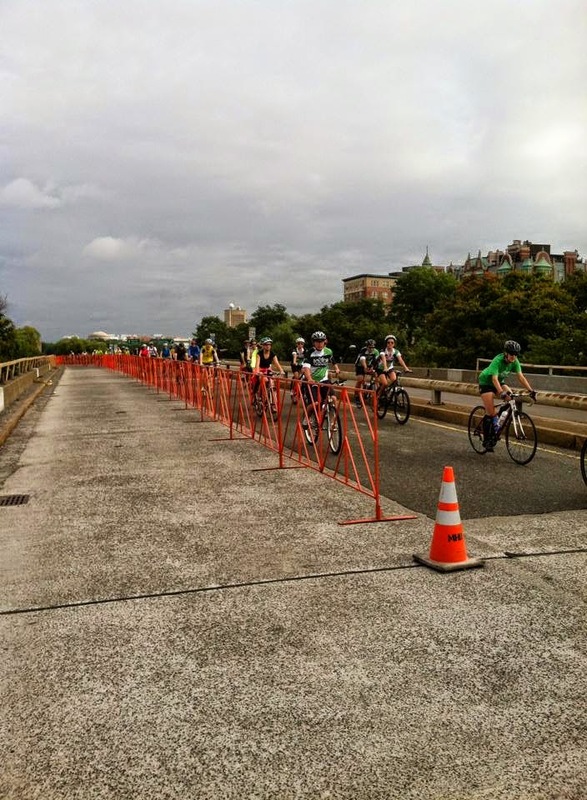 For one day of the year, the city closes down the entire 10 miles of Storrow Drive for the event. 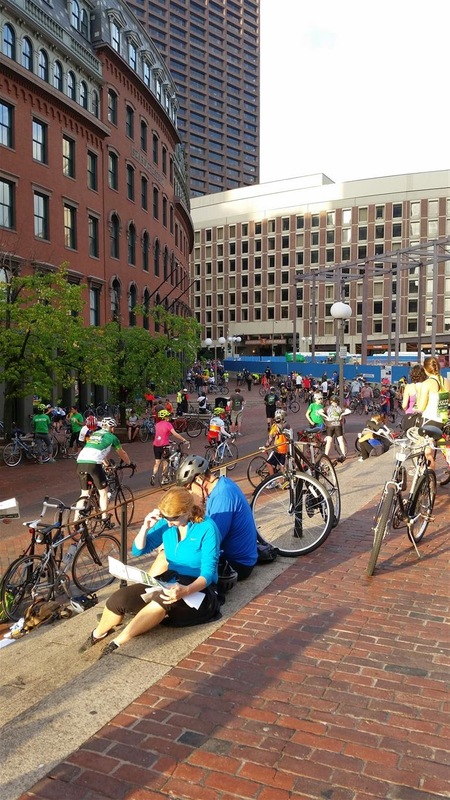 Participants start and finish at the City Hall Plaza in government center and riders can opt for a 10 mile bike ride, a 30 minute bike ride or even a 50 mile bike ride. 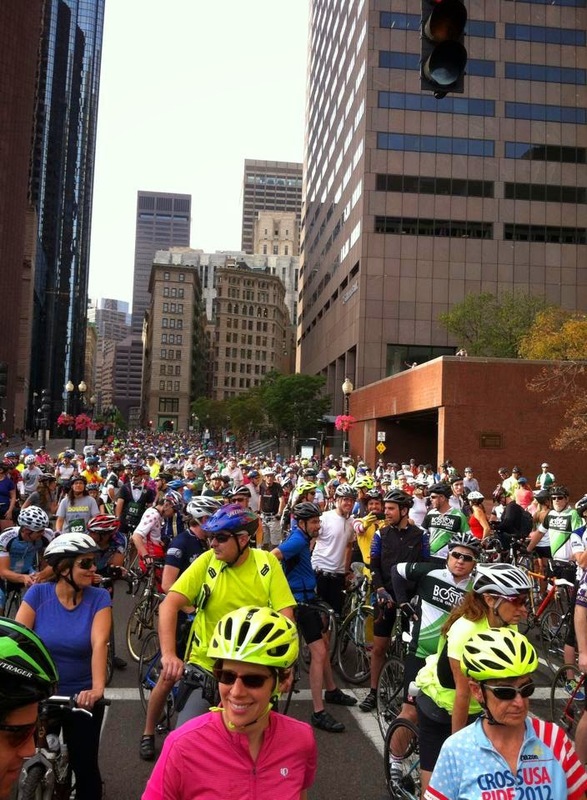 The charity event supports Boston Bikes, Special Olympics and Boston Parks & Recreation. 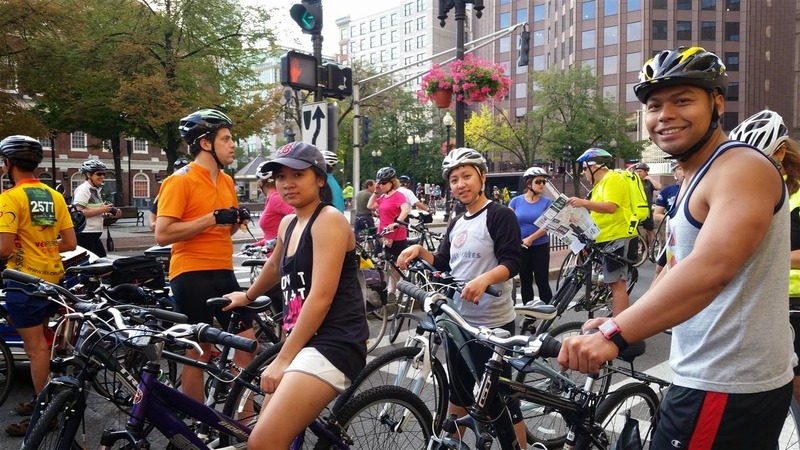 The crowd was pretty diverse: there were extreme riders, family with small children, elderly couples, corporate groups, teams of young people and us: team "Cookie Time." Coffee and bananas were provided at the start for convenience. 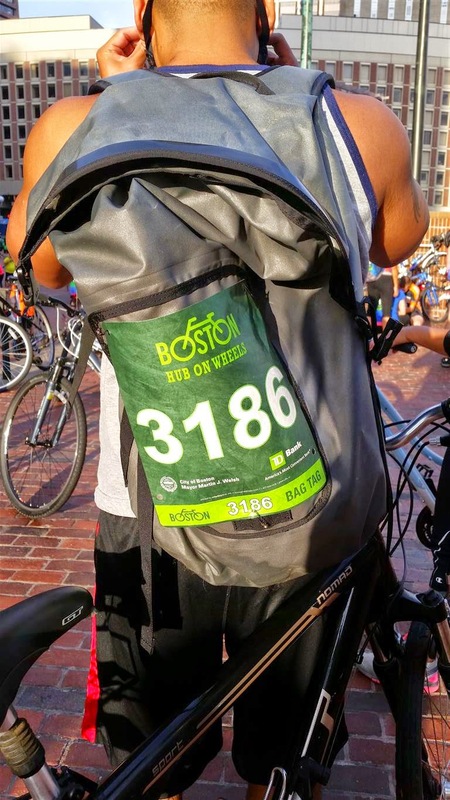 I am glad my friends suggested to get there early because by the time we parked, picked up our bibs and headed to the start line, we were already 10 minutes deep into the crowd. 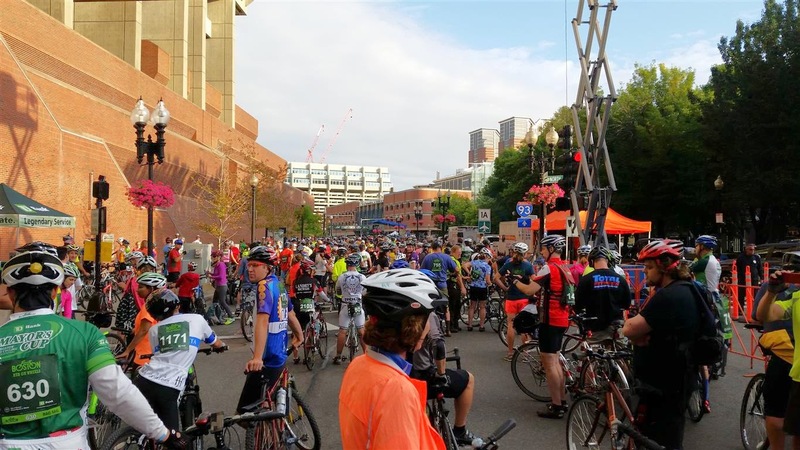 There were at least 5,000 bikes at the event with single riders, family cycles, three wheeled recumbent cruisers and even street striders that resembled a moving elliptical machine. 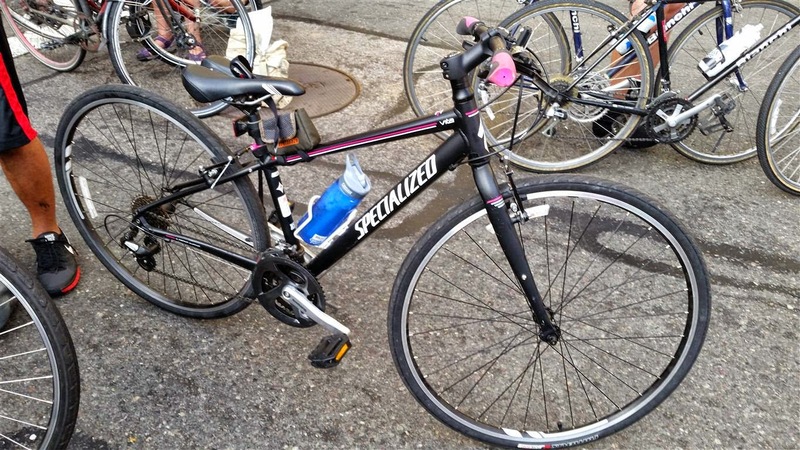 The 10 mile Storrow Drive stretch was the least painful. Most of the surface was flat and smooth and the ride was quick. We actually rushed it because we feared if we didn't finish before the allotted time, we'd be force to turn back around so they could reopen the parkway. There was a rest area at the 5 mile turn before the loop where there were port a potty's and Gatorade given out. 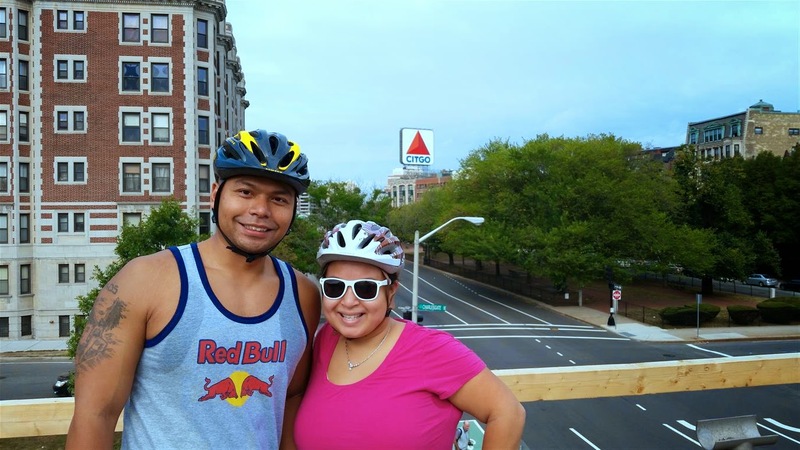 We made our way back Storrow drive and headed onto one of the bridge by the iconic Citgo sign by Fenway. Of course, I had to take a picture. I was bummed that I didn't have any pockets to have my camera ready for pics. Bad planning on my part. We continued by the Forest Hills Cemetery and made our way to Franklin Park zoo and Codman Square. That ride was a bit tough as well and that's when the crowd started to disperse. There were only a few other bikers with us and we followed them and went an incorrect route through a residential area. Along the way, residents offered water to the bikers and some kids were even selling cookies for $2.00. At this time, some of us were starting to feel the cramps coming along and the sun started to get hot. 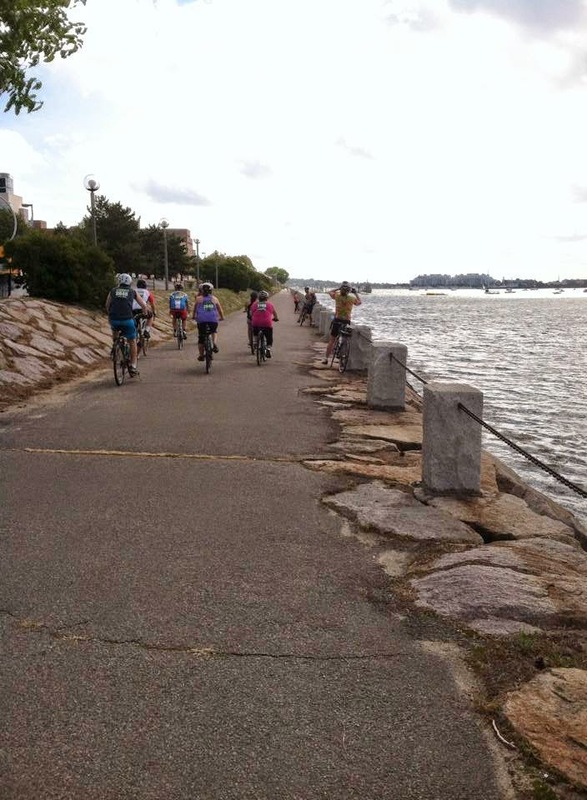 The scenic ride by Carson Beach was a delight. The ocean air was refreshing and the harbor was beautiful. We made a last stop at the 25 mile mark and grabbed some water and a couple more snacks. At almost all the pit stops, they ran out of cups which I thought was cumbersome. They should anticipate "X" amount of riders and have more than enough at each station! We braced ourselves for the last 5 miles into the city. 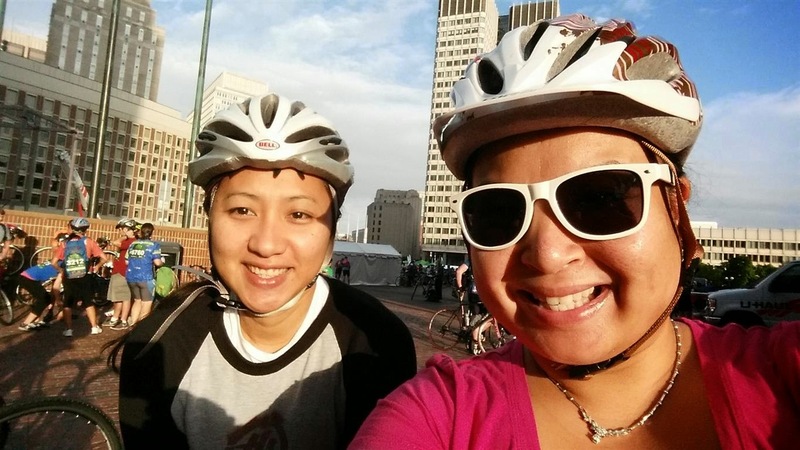 I was excited to ride by my favorite restaurant, Del Frisco's on the waterfront. The area is so pretty during the day time. Towards the last 2 miles, I had an awful charlie horse RIGHT on the bridge. I thought I was going to fall over and get hit by a car. 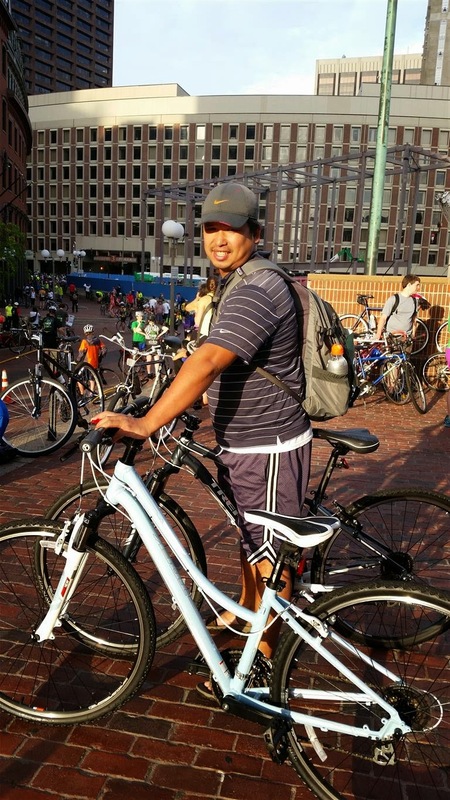 Luckily, Thai was nearby and he was able to come get my bike while I went on the sidewalk to stretch it out. Amazing, the pain disappeared after a few short minutes. I kept my gear on low so it wouldn't happen again. As we made our way back to the Quincy market, Sophea pointed out the finish line banner across the way from the Old Meeting House. Excitement rushed over me! Part of me was like "Finally!!!" but most of me was overcome with joy and a sense of accomplishment. Thanks guys for getting me to sign up, encouraging me along the way and finishing together. 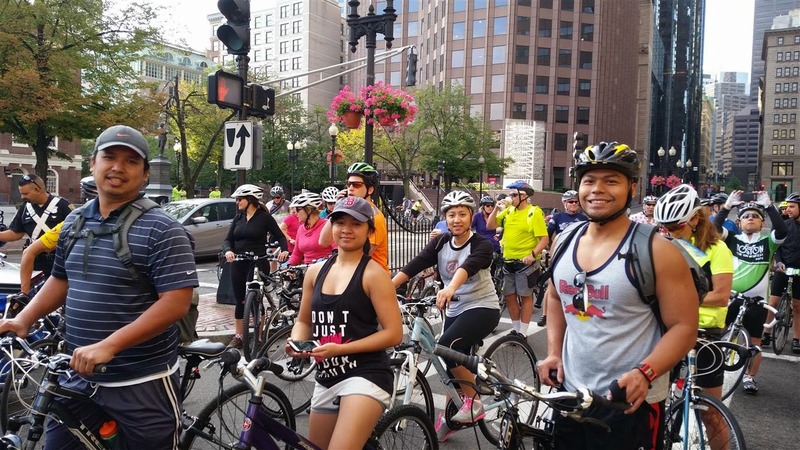 I am definitely interested in doing it again next year and I am really interested in the TD Five Boro Bike Tour in New York next May. This time I will actually work at it and not drink bottles of wine the night before. We burned 2200 calories and proceeded to eat Hot Pot at Heng Lay.